Last week we covered a recap Part 1 of this webinar. Read on to learn the rest of the story. 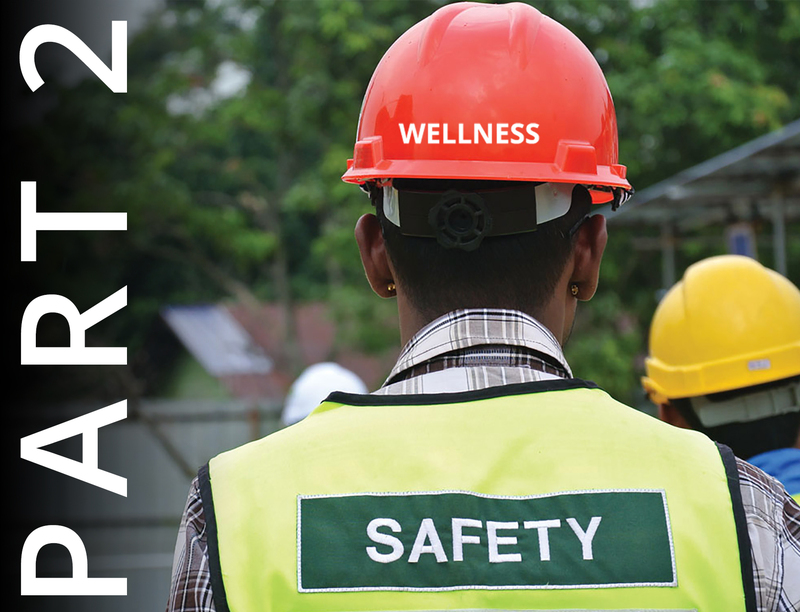 Part 2 describes the link between safety and wellness and best practices in designing these programs for your company. Obesity contributes to sleep apnea, which means employees are tired on the job, when driving and can lead to increased accidents. Smoking contributes to a variety of conditions and diseases that impact health and performance, which means higher absenteeism. Often employees who are not necessarily trained must step in, leading to increased accidents. Smoking can also lead to decreased morale: it’s been documented that the breaks that smokers take equate to 6 vacation days per year. Management support is critical, especially from the CEO. Company leaders should not only endorse the program, but should actively participate. It’s important to set goals and reward performance for both individuals and groups. When the groups is recognized as a whole, it can actually discourage top performers who went above and beyond. Positive Reinforcement is much more effective than negative reinforcement. Structure your program so that positive behaviors and results are reinforced rather than taking things away or punishing employees when goals are not met. Expand Reach by including all divisions of the company that can impact change. Deliver recognition that is meaningful to employees, and in public when possible. Recognition from top leadership is almost as important as the reward itself. Make it personal by ensuring that employees provide input as to the structure of the program, tools necessary to achieve the goals and also, the types of rewards that are meaningful to the participants. Benchmark and measure. Sounds logical but it’s the most often overlooked component. You must measure in order to determine the value and return on your investment in these programs. Be patient. It takes time to change the culture of a company and for employees to know that you are serious about continuing these programs (that’s another reason why leadership participation is critical, and why measurement is so important: people pay attention to what is measured). Give you programs time to deliver results. Tangible rewards are proven to be more effective than cash. Make sure employees have a say in the types of rewards that will appeal to them. There’s an app for that! Embrace technology rather than ignoring it. An experienced firm will be able to help you take advantage of the latest technology to ensure ease of participation by your employees. Branding your program is essential. Your program should be personalized to reflect company values and can reinforce marketing messages. Communication is also critical, not just at the end of the program but for regular updates throughout. For more information on how safety and wellness programs can drive engagement and profitability for your company, view the full webinar here. Contact us today and one of our incentive professionals can help you get started!